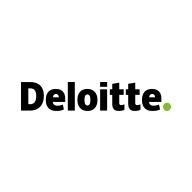 This is a temporary salaried opportunity for Deloitte Talent alumni to join Deloitte Services LP for a short term assignment. Temporary employees are not eligible for Deloitte’s health benefits, life insurance, PTO or subsidies offered through the Health & Fitness program. They are, however, covered under Deloitte’s Business Travel Accident policy and may participate in Before-Tax Transit benefits.